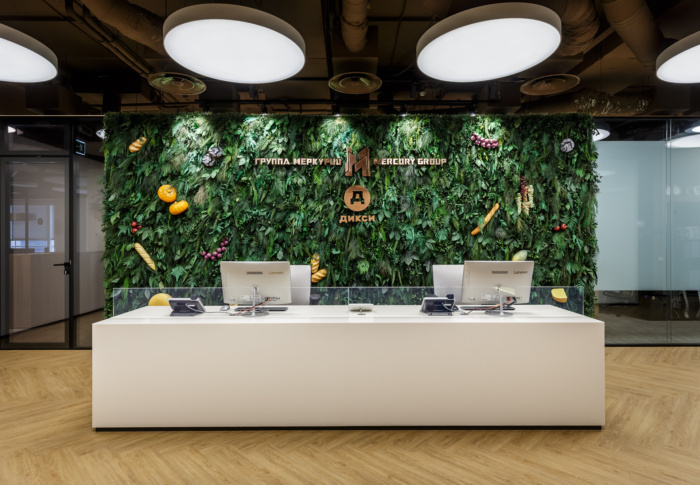 OFFCON designed the offices for food retail company, Dixy, located in Moscow, Russia. For Dixy company this new office means new way of working, more open and transparent, more communicative. 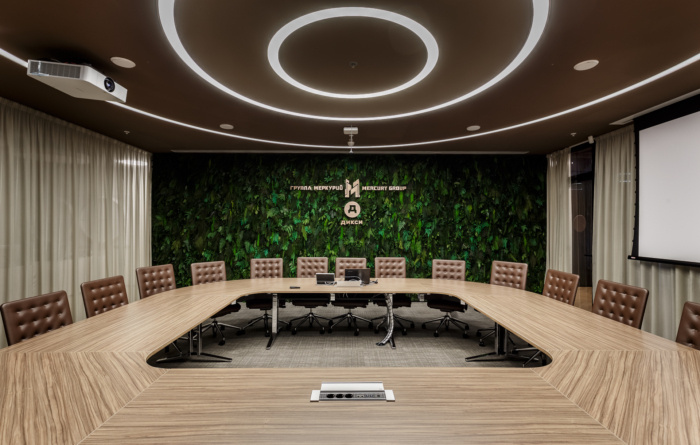 That is why office plan links individual private spaces through the shared common spaces, thereby creating more casual interaction amongst the staff and visitors. The open pleasant rest areas and cafeteria are found facing the facades. Lights and positive are the main factors of this space. But it also has space allocation from individual lounges to meeting points as sofa booths. Also this office part includes a media zone with an amphitheater. The office has 5 canteens. They are a staff gathering spot and the hub for the many events, communications and new ideas for progressive work. Two parts of office spread across two floors of Mercury Tower. They are connected by a central stairway which increases the vertical interaction between areas. Dixy office is full of custom-made furniture produced by PLYCON. The furniture design concept had to be adapted to the working conditions of Dixy company and space possibilities. The new workspace is effective, modern and understandable to staff. It opens Dixy brand corporate culture.